Two Indian warships have arrived at Cam Ranh Bay on a four day port visit. As part of the deployment of the Indian Navy’s (IN) Eastern Fleet to the South China Sea and Western Pacific, two Indian warships have arrived at Cam Ranh Bay in Vietnam for a four-day port visit, the Indian Ministry of Defense revealed in a statement this Monday. Next to strengthening military diplomatic ties, the main purpose of the four day visit (May 30-June 03) is to enhance interoperability between the IN and Vietnam’s People’s Navy (VPN), as well as deepen maritime cooperation, according to the defense ministry. “During the visit, the IN ships will have professional interaction with the Vietnam People’s Navy towards further enhancing co-operation between the two forces,” the press release states. The port visit will be followed by a joint IN-VPN training exercise. 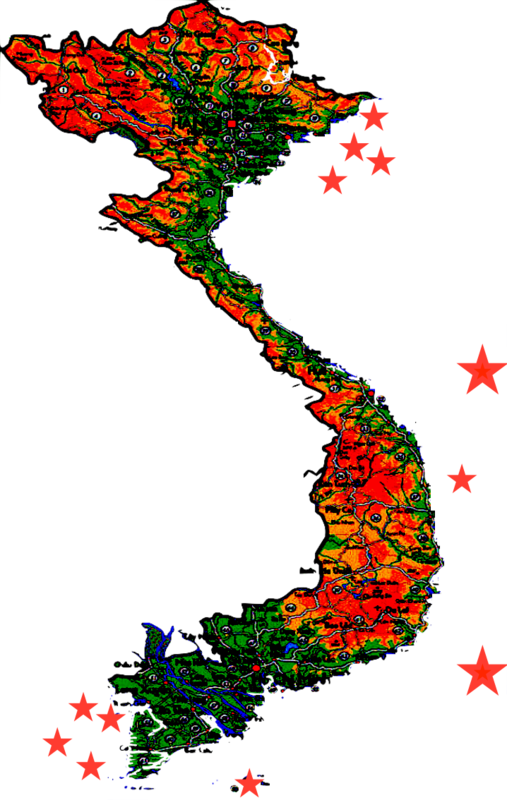 “The visiting IN ships are (…) likely to conduct exercises with the Vietnam People’s Navy, aimed at enhancing interoperability in communication as well as Search and Rescue procedures, post departure from Cam Ranh Bay,” the press release notes. 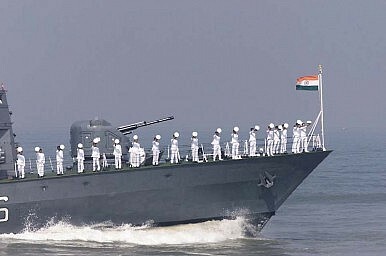 “INS Satpura is commanded by Captain A N Pramod and INS Kirch is commanded by Commander Sharad Sinsunwal,” it adds. The INS Kirch is a 1,350-ton Kora-class guided missile corvette armed with sub- and super-sonic anti-air and anti-ship missiles. The INS Satpura is 6,200-ton Shivalik-class guided-missile stealth frigate also armed with with supersonic anti-ship and land-attack cruise missiles. As I reported previously (See: “India Sends Stealth Warships to South China Sea”), four ships of the IN Eastern Fleet departed Indian waters on May 18 for a two and a half month long operational deployment to the South China Sea and North Western Pacific. Two IN warships of the fleet are currently docked at Subic Bay, the Philippines, on a three-day visit to last until June 2. The last time an Indian warship visited Vietnam was in October 2015. In May 2015, Vietnam and India signed two separate memoranda of understanding on bilateral defense and coast guard cooperation. The visit to Vietnam is part of India’s ‘Act East’ policy seeking to increase the IN’s footprint and operational reach in the region.